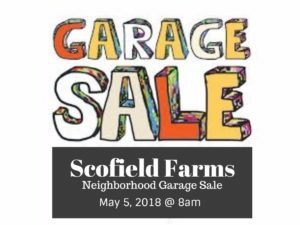 Start cleaning out your drawers, closets, nooks and crannies – it’s time to prepare for the Scofield Farms Neighborhood Garage Sale! As usual, we will be partnering with our sister neighborhood Scofield Ridge, which brings lots of customers to our sales. Garage sales are much more fun with friends, so invite your neighbor to join you! If interested, please email Jodi Cadle (jccadle@hotmail.com) with “GARAGE SALE” in the subject line. Please include your name and address to be added to the map and advertising. Happy purging! It is time for our Annual Neighborhood Easter Egg Hunt! The Hunt will begin at 10:30am, but feel free to come a little early to grab a donut, orange juice or coffee beforehand. After the Hunt, there will be a bounce house, face painting and Tiny Tails Petting Zoo for everyone to enjoy! 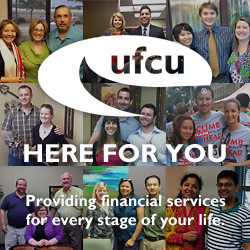 In order to make this all happen, we do need a little help from all of you. For EACH child participating in the Egg Hunt, we will need 12 candy or toy filled eggs. Tracy Johnson will be collecting the eggs the week before the event (March 26-30). Please bring them to her address at 1407 Dapplegrey Lane. Thank you and we hope to see you all there! !